This photograph was taken around 1965. 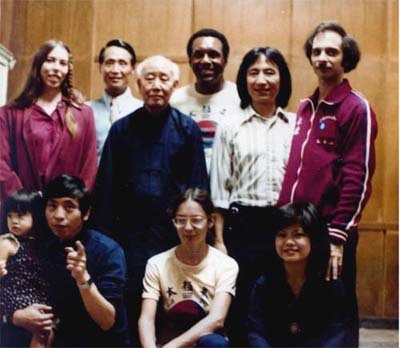 Pictured are, top from left, a student of Joe Sun Hwa, Joe Sun Hwa, Master Sidney Austin, C. K. Chu, Frank DeMaria; the old man in the center is T.T. Liang; bottom from left are William Chen (holding child), a student of of Master Austin, and FuLin Wang (wife of F DEMaria).